Valentine's Day is just around the corner, and Ava couldn't care less. That is, until a new girl, Kelli, asks out Ava's friend Chuck...and he says yes What? ? Ava is NOT okay with this. But since when does she think about boys? For the first time ever, words fail Ava. She isn't sure what she's feeling (Like? Love? Friendship? Frustration? ), or what "going out" even means. After all, fifth graders aren't allowed to go anywhere by themselves, are they? To top it off, Pip's friend Tanya is being bullied for her size. Ava wants to help-but, uh oh, it's not as easy as she imagines. 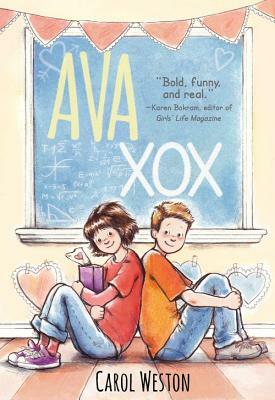 The New York Times called AVA AND PIP "a love letter to language. " With this third diary format, Girls' Life advice columnist Carol Weston hits another home run.